All PTA sponsored camps will be held at Marshall Road Elementary. Please see descriptions for individual weeks and times. Sports Camp: June 24 and July 22 for rising 1st - 6th graders. Camp Hours are 9am - 1pm. This is a fun, recreational sports camp and not a skills camp. 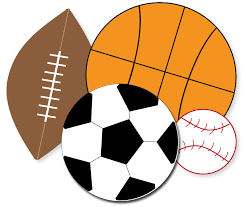 Many different games and sports will be played during the week, under the direction of Mr. Clancy and additional adult and youth staff. Children will be grouped by their age and all campers will have a fun-filled week! Much of the activity will take place outside - bring a large, refillable water bottle. and camp t-shirt. Optional extended care is available from 8am - 9am for an additional $10. 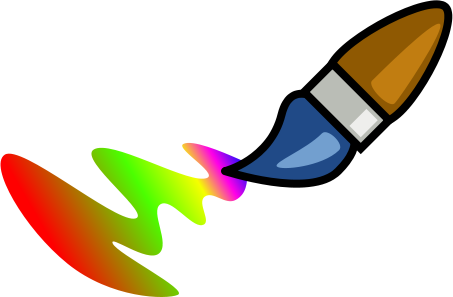 Art Camp: Week 1, held July 8-12, is open to rising 4th-7th graders. Week 2, held July 15 - 19, is open to rising 1st - 3rd graders. Camp hours are 9am - 3pm. This is a FUN art camp directed by Ms. Kinsey and Mr. Clement in which students explore projects using varied media that go beyond the standard art curriculum, creating art based on their own interests. Breaks provided daily for lunch and games. Students bring their own lunch and snack every day. The registration fee for the week is $240, which includes instruction, supplies, and camp t-shirt. June 17-21 for rising K - 3rd graders. Camp hours are 9am - 12pm. Let Mindfulnest Yoga ease your little yogi into the dog-days of summer with a week of yoga, meditation and mindful activity with nature-themed fun and movement. We will focus on kindness and helping others, and we'll donate many of the crafts we create during the week to a local animal shelter to help our furry and feathery friends. Yogis should bring water and a healthy snack! Mats and craft materials provided. The registration fee is $180, which includes craft supplies. July 15-19 for rising 4th - 6th graders. Camp hours are 9am - 12pm. We'll spend a week of mindfulness, meditation and yoga exploring positive change and growth. Yogis will begin capturing their dreams in a journal, and consider ways to bring positive change to our community. The group will choose a service project to focus on during the week so we can reach out to the world around us. Yogis should bring water and a healthy snack! Mats provided. Fees are for the week only; there is no daily rate for partial attendance and no PTA scholarships for full-week camps. Please note: Art Camp is open to Marshall Road students and their grade-level appropriate siblings only. Sports Camp and Yoga Camp are open to any student who meets the age requirements. Only parent(s) / guardian(s) may register a child for camp. Questions? Please contact PTA Summer Camp Chair Anna Moore.